I ended last week with British Regulars having opened fire on a crowd leaving five colonists dead or dying. The small squad of soldiers then hurried back to their barrack to await the consequences. As soon the threat of continued imminent violence ended, officials moved to arrest those responsible. By 2 AM that night, the Sheriff had arrested Captain Preston. He arrested the other soldiers the following morning. On the morning of March 6, 1770 about 3500 Bostonians met at Faneuil Hall to discuss the next steps. 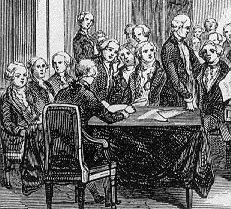 A group of radical leaders, including Samuel Adams and John Hancock, met with Gov. Hutchinson to demand the removal of all soldiers from Boston. Hutchinson did not want to remove the soldiers and leave Boston in the hands of mob rule. At the same time, he did not want to be the one responsible for keeping the standing army in town. Hutchinson simply punted, saying he had no authority to order the troops anywhere. Col. Dalrymple, the military commander in Boston, offered to remove the entire 29th Regiment to Castle William, the island out in the harbor. On this, Adams pounced, saying if he had authority to order one regiment out of town, he also had the authority to order both of them out. Dalrymple, however, did not want to take sole responsibility for removing all troops from Boston. He demanded that the Governor at least provide him with a written request to remove the troops. Eventually, Hutchinson submitted the request. All British troops in Boston moved out to the Castle Island. Gen. Gage, still in New York, tried to prevent the evacuation. But due to the days it took for communications, the troops had moved before he could rescind the order. Once complete, Gage decided trying to return the troops would only cause more problems. In May, the 29th Regiment, which included the men responsible for the Massacre left Boston to a new post in New Jersey. Of course, Captain Preston and the eight accused soldiers remained behind in a Boston jail awaiting trial. Almost immediately after the shooting, both loyalists and patriots began trying to spin events in their favor. Both sides immediately accused the other of an organized conspiracy - either a loyalist conspiracy to cow the radicals into submission by killing a few of them - or a patriot conspiracy to provoke a shooting in order to get rid of the soldiers. Loyalists portrayed the soldiers as defending their lives against an out of control mob. Patriots portrayed the soldiers as wantonly shooting down innocent civilian engaged in simple protest of military occupation. The Patriots also tried to bring the customs officials into it by claiming several shots came from windows in the Customs House, though there has never been any good evidence of that. Paul Revere produced a famous engraving, published in papers throughout the colonies, showing the soldiers mowing down innocent civilians in volley fire. Both sides also took depositions. A town committee headed by Samuel Adams, John Hancock William Molineaux and Joseph Warren sent witness accounts to former governor Thomas Pownall, now sitting in Parliament. The Tory’s side, however, arrived first in London. Customs Commissioner John Robinson boarded a ship for London on March 11. He carried with him a series of military depositions and other information blaming the incident on the radicals. In London someone published the accounts as a pamphlet. In response the Patriots had their version and depositions published in London in another pamphlet. 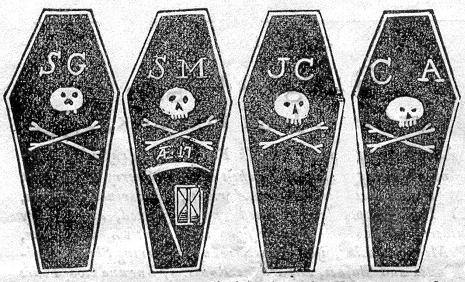 The Patriots made the most of the funeral of the four dead (a fifth would die a few days later). Estimates of the parade of mourners were 10 to 12 thousand, not bad for a town with a population of 16,000. Samuel Adams and others spoke of the martyred victims and the ongoing struggle against British tyranny. The anniversary of the massacre would continue as a public event with similar speeches until the outbreak of war. In addition to indicting Captain Preston and the eight soldiers present at the massacre, a grand jury indicted four civilians in the customs house, accusing them of firing from the windows. Shortly after the indictments, the prosecutor, the Colony’s Attorney General, simply left town. Apparently, he had Tory leanings and had little desire to prosecute the case against the soldiers. This began a series of delaying actions, where judges also began leaving town or having illnesses or injuries that delayed trial. As spring turned into summer and then fall, radicals grew frustrated at the delays. Many of the witnesses were sailors who could not remain in port for months at a time waiting for a trial that seemed to take forever to get underway. 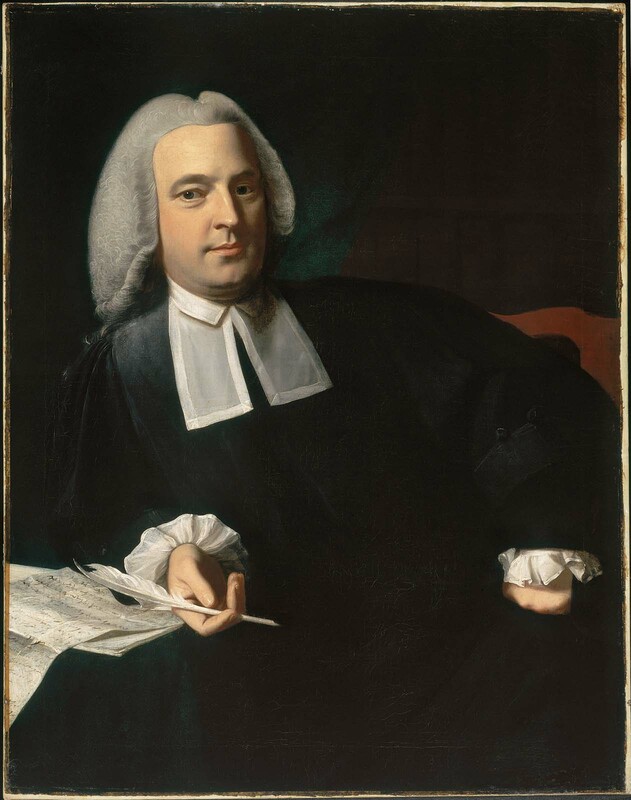 Samuel Quincy, Solicitor General for the colony, became the new prosecutor. 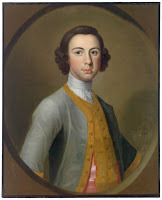 Despite most of the Quincy family supporting the Patriot cause, Samuel was a loyalist who supported the government. Given his limited experience as a criminal prosecutor, Quincy brought in Robert Treat Paine as senior counsel for the prosecution. Paine, had a better reputation as a Patriot and would ensure a zealous prosecution. Paine would also go on to play a more significant role in the patriot cause during the war. Finally, on September 7th, Preston and his men were arraigned, entering pleas of “not guilty”. Then came another delay. On the day following the arraignments, the Court suddenly and without explanation adjourned until the end of October. Both sides opposed this. The Radicals had been fighting delays for months. Hutchinson and the Loyalists believed that tempers had cooled as much as they were going to, and wanted time to send a pardon request after the trial before the winter weather stopped all shipping traffic to London. Robert Auchmuty served as senior counsel for the defendants. Auchmuty served as a judge on the Vice Admiralty Court. He knew though that any chance of winning required some attorneys who had some credibility with the people of Boston. He reached out to John Adams and Josiah Quincy, Samuel’s brother, to represent the accused soldiers. Some may find it surprising that two ardent patriots would defend the alleged murderers of their fellow Boston Patriots. Years later, Adams would say he simply wanted them to have a fair trial, and that politics should not enter into that. Quincy, however, admitted speaking with key Patriot leaders, including Hancock, Molineaux, and Warren, before taking the clients. Clearly neither of them was defying the Patriot leadership in defending the soldiers. I have mentioned John Adams a few times now, and clearly he goes on to bigger things later in the Revolution. But a brief background might be helpful here. John Adams was a second cousin of Samuel Adams. The two got along well, but were not particularly close growing up. They did not have a strong familial bond. John lived outside of Boston in Braintree. As a lawyer, he found himself in Boston on a regular basis. He associated and clearly seemed to align himself with the radicals. But he did not attend most of the political rallies or events of the time. He had represented clients in some high profile trials, including his defense of Michael Corbett for murder of the press gang officer two years earlier (see, Episode 30). Despite his patriot leanings, Adams considered himself a lawyer first. He threw himself into the defense with all the zeal of a good defense counsel. As Chief Justice of the Massachusetts Superior Court, Gov. Hutchinson could have presided over the trial. He had no intention though, of going anywhere near that political mess. Four other judges would preside. First, the defense moved to separate the trial of Captain Preston from those of the other soldiers. Preston’s defense relied on the argument that he had not ordered the men to fire. The defense of the soldiers was that they obeyed Preston’s command to fire. Clearly the two defenses were not compatible. Today legal ethics would prevent the same lawyer from representing both parties. But colonial standards were not as strict. Adams and Quincy represented both parties, but did succeed in getting their trials separated. At trial, the defense challenged the wording of the indictments (overruled) and the selection of the jury. They effectively used the jury selection to empanel a jury that had at least some very pro-soldier jurors, ensuring a unanimous conviction virtually impossible from the beginning. The prosecution presented 15 witnesses over two days. They gave conflicting testimony about whether Preston ordered the men to fire. Some were sure of it, others not so much. Others admitted they heard people in the crowd shouting “fire.” Many witnesses indicated Preston was standing in front of the soldiers, which is not where you want to be when ordering your men to fire. The defense produced even more witnesses, including one who had been standing next to Preston during the events in question. He testified that he never heard Preston order the soldiers to fire and saw Preston try to stop the firing by hitting the barrels of the soldiers’ muskets. Preston himself could not testify according to the criminal rules of evidence at the time. Finally, closing arguments finished around 5 PM on October 29. The jury reached a verdict several hours later, but the court did not reconvene until 8AM the next day to hear the verdict: not guilty. Once released, Preston quickly fled to Castle Island to avoid any potential lynching or other mob violence. Soon thereafter, he resigned his commission and settled in Ireland. Robert Auchmuty declined to participate in the second trial, making John Adams the lead counsel. He and Josiah Quincy brought in Sampson Salter Blowers, a young attorney with loyalist leanings, to round out the defense team. Blowers and Quincy were classmates at Harvard and had worked together a few months earlier on the defense of Ebenezer Richardson for the murder of Christopher Seider. Samuel Quincy and Robert Treat Paine, continued to handle the prosecution. The case against the soldiers was a little trickier. Typically, a group of men acting in concert are all criminally liable for any crimes committed. However, that is only the case if the group is acting as an illegal conspiracy. The soldiers were not acting illegally when standing on the street as ordered. Therefore, they could only be held accountable for their individual actions. It was nearly impossible for the prosecution to establish which soldier shot which victim. Of course, there was no scientific evidence at that time that could match a bullet to a particular weapon. Therefore the prosecution had to rely on eyewitness testimony that could establish a particular shot killing a particular victim. The other legal question to answer was whether the soldiers fired out of self-defense, in other words, an immediate fear for their lives. In such a case, they would be not guilty. Another possibility was a finding that they fired after being attacked but not in immediate danger of death. In that case, they would be guilty of manslaughter rather than murder. Finally, if they fired out of malice, the could be found guilty of murder. Since the traditional penalty for both murder and manslaughter was death, it might appear not to make much difference. But manslaughter could result in a lesser sentence in most cases. Following Preston’s acquittal on October 30, the court adjourned yet again, leaving the soldiers to sit in jail for another month. Finally on November 20, the court reconvened with the same four judge panel who had heard the Preston trial. Again, both sides fought over the jury. In the end, all twelve jurors came from outside Boston. Opening arguments began on November. 27. Like the Preston trial, the large number of witnesses meant that the trial would last far longer than one day. Dozens of witnesses took weeks to testify. The prosecution made every effort to provide witness testimony to specific soldiers firing. The defense made the most of the confused and often contradictory testimony. It also painted the mob as a dangerous threat to the soldiers. Adams called them “a motley rabble of saucy boys, negroes, and mulattoes, Irish teagues and outlandish jack tars.” In his closing argument, Adams famously told the jury “Facts are stubborn things; and whatever may be our wishes, our inclinations, or the dictates of our passions, they cannot alter the state of facts and evidence.” Even though the jury might not like the soldiers, it could not ignore the fact that the men were under attack. In the end, the jury found two soldiers, Privates Kilroy and Montgomery, guilty of manslaughter rather than murder. In both cases the jury found compelling eyewitness testimony that both men fired their guns into the crowd, killing victims. The jury found the other six soldiers not guilty, with lack of credible proof that they had even fired their guns. The court gave Kilroy and Montgomery the benefit of clergy - a legal term to avoid the death penalty. Instead the court ordered their thumbs branded as punishment. The six soldiers found not guilty rejoined their regiment in New Jersey. It appears that Kilroy and Montgomery also rejoined their unit, though it is possible they were assigned to another unit. Both men appeared before a British Pension Board in 1776 seeking to be discharged. The court impaneled the same jury for the soldiers to sit again in December to hear the charges against the four civilians in the customs house. The witnesses in this case proved rather weak and pathetic. The jury did not even leave to deliberate after the close of arguments before delivering a verdict of “not guilty.” The court ordered the arrest of one of the prosecution’s witnesses, a 14 year old boy named Charles Bourgate arrested for perjury. A court later convicted him and sentenced the boy to 25 lashes. 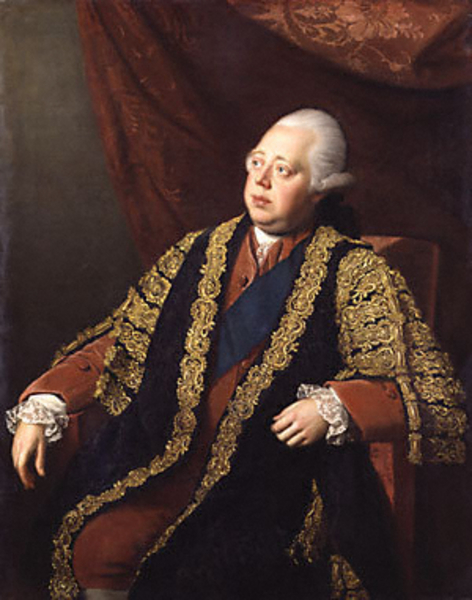 Even before word of the Boston Massacre reached London, Lord North began pushing through Parliament a partial repeal of the Townshend duties. North rejected proposals for a full repeal. He believed that backing down would not solve anything. During the 1769 debates on repeal, North allegedly said “America must fear you before she can love you …. I will never think of repealing it until I see America prostrate at my feet.” Clearly he fell into the camp that required Parliament establish its dominance over the colonies before they could reach any resolution. For this reason, North adamantly opposed a full repeal. He did, however, agree that the tax on manufactured goods, made little sense. Over the three years the Townshend Acts had been in force, the total duties collected among all colonies on manufactured goods was less than £5000. By comparison, the tea taxes had raised over £16,000. That was true even though British tea imports to the colonies fell to less than half of what they were prior to the implementation of the Townshend Acts. If a partial repeal could break the already wavering resolve on colonial nonimportation agreements, revenues overall would likely increase. Britain benefited by promoting export of manufactured goods. It created jobs in England and produced local revenue that was subject to taxation. At the same time, North insisted on maintaining the tea tax. This was the largest revenue producer by far of all the taxes. It was not a locally manufactured good. Most importantly, it would force the colonists once and for all to accept that they were subject to taxation. Parliament had to establish that precedent through an actual tax, not some vague declaration of its authority. As with many such proposals, members of Parliament attacked North’s proposal from both sides. Radical Whigs like Isaac Barré and Henry Conway still called for full repeal. Thomas Pownall, former Governor of Massachusetts and now member of Parliament also joined them in calling for full repeal. On the other side Welbore Ellis, a member of the Grenville faction, argued that there should be no repeal of anything. Regardless of any financial issues, any repeal would only show weakness to colonial temper tantrums. Pownall offered an amendment to North’s bill, essentially making it a full repeal. Parliament rejected that 204 to 142. After that vote, North’s bill sailed through the Houses of Commons and Lords with voice votes. The partial repeal became law on April 12, 1770. Word of North’s repeal had its intended effect in America. Non-importation agreements had already faltered. Radical patriots still wanted complete non-importation of anything until all Townshend duties, and in some cases all duties including older sugar act and others, were repealed. The problem was that these non-importation agreements affected different regions differently. New England made up much of its trade through smuggled goods, which could continue despite non-importation agreements. 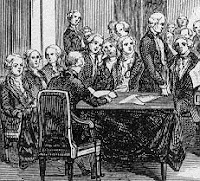 Many of the southern colonies were cheating on the agreements so much that they were not feeling much pain. New York, however, had seen a massive drop in imports as a result of the agreements, now in their third year. New York merchants sent around a circular letter calling for the agreements to be revised, so that they would only refuse to import items that were being taxed, at this point, primarily tea and sugar. When other colonies rejected this change, New York decided in July 1770 to amend their own agreements anyway. Over the next few months, Philadelphia, Boston, Baltimore, and others made similar revisions. After all, if New York would import these items, merchants in other colonies could not be put at a disadvantage. With the agreements collapsing, it appeared as if North’s gambit had been a success. Yes, the colonists would still refuse to drink tea, but that would not impact any businesses in England, other than the East India Company. Atlantic trade could get back to normal. To ease tensions even further, North allowed the Quartering Act, which had to be reauthorized every year, to expire in 1770. That was one less thing to remain a sticking point between Britain and her colonies. North was well on his way to returning things to calm, normal, and profitable trade. The radicals tried to point out that accepting these small taxes would set a precedent that meant Britain might levy greater taxes later. But others argued that the colonies were still boycotting the taxed items. They just didn’t want to continue boycotting everything they needed from Britain, whether it was taxed or not. Through much of 1771 and 1772, things seemed to return to normal. Governors once again allowed colonial legislatures to meet. The fact that Massachusetts Assembly had to meet in Cambridge rather than Boston still irked the radicals, but it was not exactly a rallying point to set the colony aflame. Peace returned, the economy improved and everyone seemed to relax. It short, it looked like North’s strategy was succeeding. Next week, We will look at regulator movements in the Carolinas as colonists along the western frontier fight for their rights. The trial of the British soldiers of the 29th regiment of foot, (1824) (detailed trial notes of the Boston Massacre Trials). The trial of the British soldiers, of the 29th regiment of foot, (1807) (different version of Boston Massacre Trial notes). A Fair account of the late unhappy disturbance at Boston in New England, London: B. White, 1770 Loyalist account of the Boston Massacre, written in the days following the event. Boston Registry Dept. Records Relating to the Early History of Boston, Vol. 18, Boston: Rockwell and Churchill, 1887. Bowdoin, James; Warren, Joseph; & Pemberton, Samuel A Short Narrative of the Horrid Massacre in Boston, New York: John Doggett, Jr., 1849 (this is a reprint of the original 1770 pamphlet produced in London by Patriot citizens of Boston). Chandler, Peleg W. American criminal trials, Vol. 1, Boston: Charles Little & James Brown, 1844 (Boston Massacre Trials). Kidder, Frederic History of the Boston Massacre, March 5, 1770, Albany: Joel Munsell, 1870. Archer, Richard As If an Enemy's Country: The British Occupation of Boston and the Origins of Revolution, Oxford: Oxford University Press 2010. Fowler, William The Baron of Beacon Hill: A Biography of John Hancock, Boston: Houghton Mifflin Co. 1980. Galvin, John Three Men of Boston, Potomac Books, 1976. I am completely enjoying this podcast! The American Revolution is exciting and fascinating, and I love the chronological presentation. Also, I am very glad to have the background (via French & Indian War, etc) laid out as a foundation to events leading to the revolution. Your list of reading materials and links to articles and objects related to each podcast is extremely impressive! Thank you so much for sharing ALL of this with those of us who share a passion for American history.